How Has Tropical Storm Florence Affected You? Eastern coastal residents continue to experience widespread flooding, closed roads and large-scale evacuations. 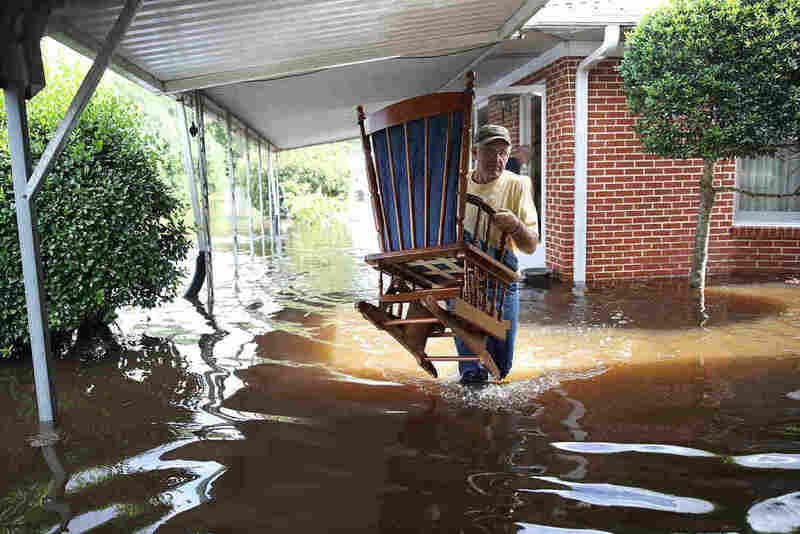 Bob Richling carries items from the home of Iris Darden as floodwater from the Little River starts to seep into her home Monday in Spring Lake, N.C.